Special Counsel Mueller’s investigation revealed that Pinchuk made the single largest outside donation to Trump’s foundation in 2015. 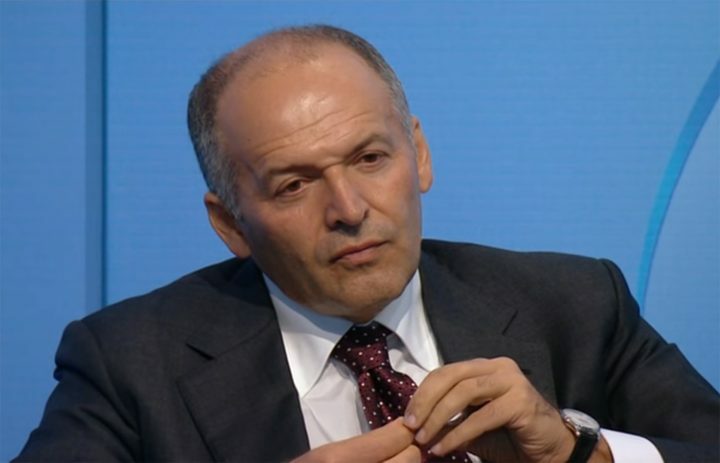 In 2015, Ukrainian billionaire, art collector, and arts patron Victor Pinchuk donated $150,000 to the Donald J. Trump Foundation in exchange for a 20-minute speech Trump delivered, via a video link, at a conference in Kiev. Details of the payment emerged after the Trump Foundation was subpoenaed earlier this year as part of Special Counsel Robert S. Mueller III’s investigation into the foundation’s dealings with foreign nationals. Now, Pinchuk’s payment for Trump’s speech is being scrutinized as part of the broader investigation into Russian interference in the 2016 US presidential election and possible coordination with Trump’s campaign, according to a New York Times report citing three anonymous sources briefed on the matter. The interest in Pinchuk’s donation suggests that the scope of Mueller’s investigation has expanded beyond transactions directly involving Russian entities. The speech occurred three months after Trump announced he was running for president; Pinchuk’s $150,000 payment was the largest single donation the Trump Foundation received in 2015 from anyone other than Trump himself. In a statement to the Times, the Victor Pinchuk Foundation said the honorarium was “a specific request of Mr. Trump Foundation in September of 2015 when there were multiple candidates for the Republican nomination for president and it was by no means assured that Mr. Trump would be the Republican nominee in 2016.” The Trump Foundation’s finances have been under close scrutiny since 2016, revealing — among other findings — that Trump used $20,000 from his Foundation’s coffers to buy a six-foot-tall portrait of himself. In addition to paying participants like Trump for their appearances at the Yalta European Strategy (YES) conference — which Pinchuk founded in 2004 — the Pinchuk Foundation is a force in the art world, running the PinchukArtCentre in Kiev and administering the highly competitive Future Generation Art Prize, which comes with a $100,000 purse. The PinchukArtCentre and Pinchuk Foundation also organized Ukraine’s pavilion at the 2015 Venice Biennale. Pinchuk himself had a fortune of $1.44 billion in 2016, according to Forbes, and is in the habit of spending large sums on art, earning himself a spot on the ARTnews “Top 200 Collectors” list every year since 2008 (except 2016). He also made appearances on the ArtReview “Power 100” list every year from 2008 to 2014. He is known to own large sculptures by Jeff Koons, Damien Hirst, and other market darlings. He has made his fortune in the steel and financial industries, and is the son-in-law of Leonid Kuchma, the President of Ukraine from 1994 to 2005. Pinchuk has long sought to foster closer relations between Ukraine and the West; in addition to his donation to the Trump Foundation, he has donated more than $13 million to the Clinton Foundation since 2006, according to the Times. Pinchuk is hardly the only major art world player to make a major donation to Trump. Top collectors and museum patrons donated millions to his inauguration last year.